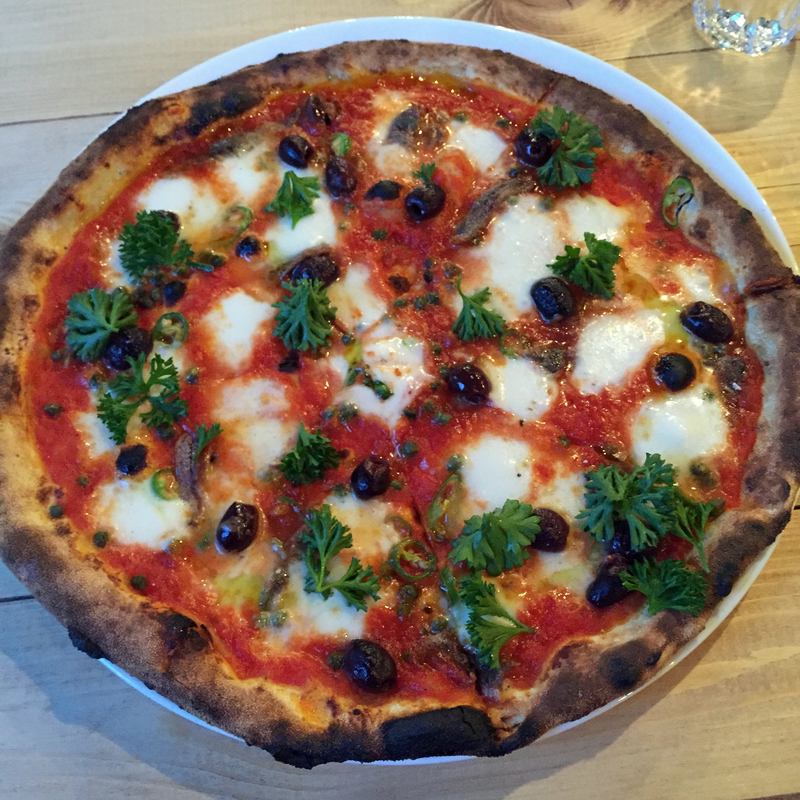 Mamma Dough have recently opened their second branch on Coldharbour Lane. We thought that the refurbishment work wasn’t quite complete and that the interior does feel somewhat unfinished. But after looking at the website we realise this was the design and that their place in Honor Oak also has the almost finished look. 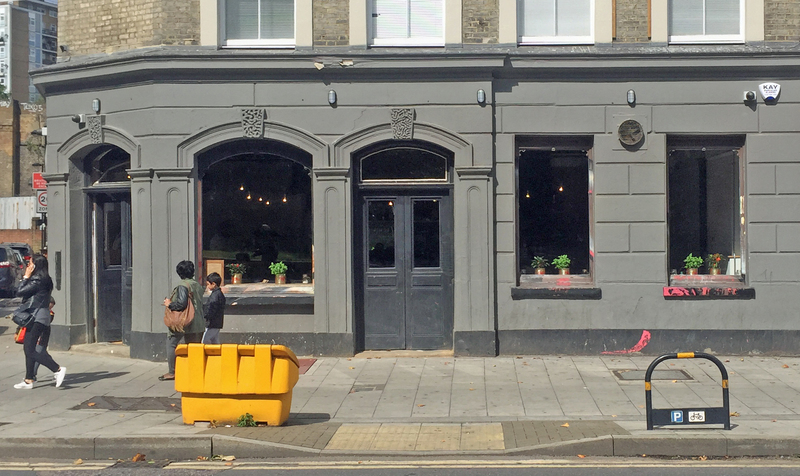 Stripped wooden floors, tables and chairs are scattered in the former pub on Coldharbour Lane past Brixton Village towards Camberwell. There is a bar and well sited pizza oven so you can see all that is going on. Its light and airy with large windows. Mamma Dough’s bread and butter is their pizza. 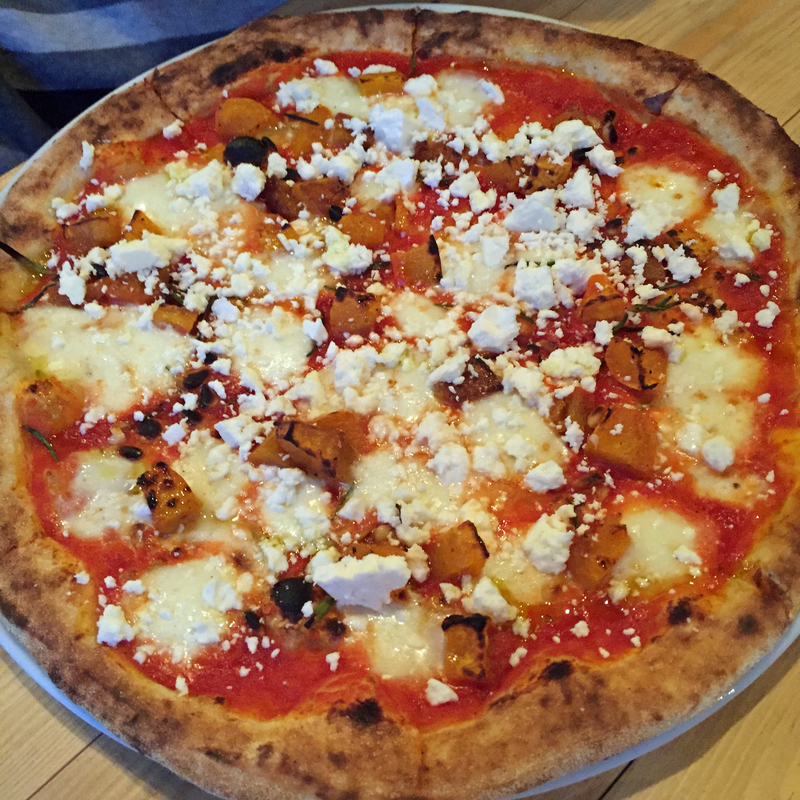 They offer a decent range of thin-crust sour-dough pizzas with several regularly changing specials. They also provide a gluten-free version, with the toppings served on a bed of cannellini beans. 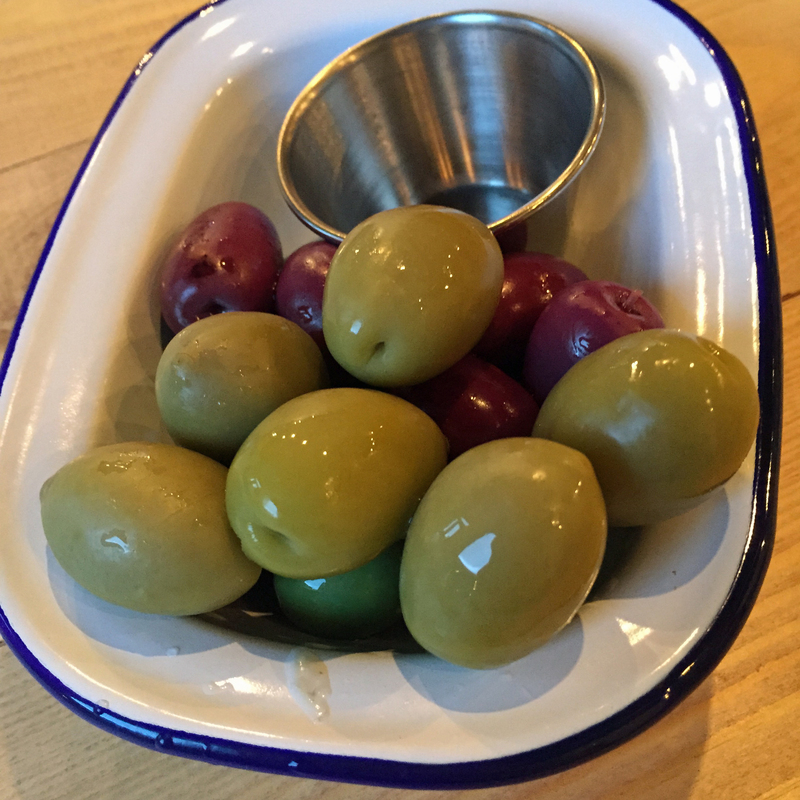 We ordered a pizza each and had some very tasty mixed olives while we waited for our mains to arrive. We went for a ‘Winter Goat’ with goat’s cheese, caramalised onions, olives, and walnuts; a ‘Lorena’ with squash, feta, pine nuts, and rosemary; and a ‘Jon Bon Chovy’ with anchovy, chilli, capers, olives, and parsley. They didn’t take long to arrive. The pizzas were great, both tasty and very filling. When they arrived piping hot and altogether and we thought we would never be able to finish them – we did but that left us with no room for dessert. Mamma Dough also offer a selection of wines and local bottled beers and make up their own ginger ale. Although this restaurant had just opened the staff were well organised and checked several times whether we were ok. The meal was well-priced with the bill coming to £10.00 per head including a couple of beers. 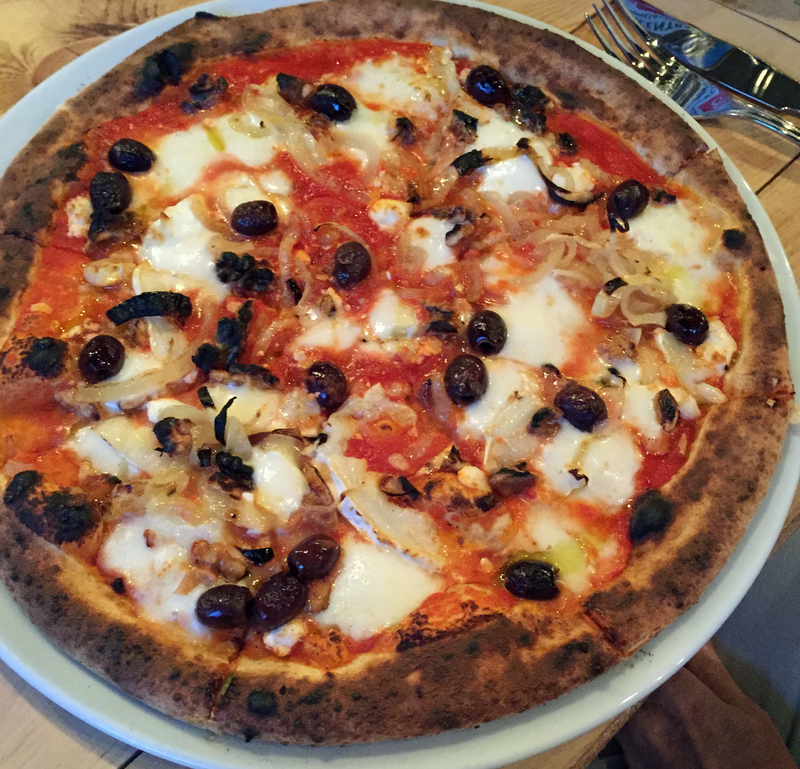 We debated how they compare with our long-term favourites Franco Manca. They are certainly in the same class, while being more comfortable as a place and, at least at present, there’s no waiting around.